Owning rental homes can be costly. The right property management company can make all the difference. Our goal at Real Property Management Chicago Group is to protect your investment, minimize your costs, and maximize your income—without interrupting your daily life. Our satisfied clients are the reason we can uphold our reputation as the Best! We have rave reviews and are proud to showcase them, please click on the links below to see what our customers are saying about us and see why we are one of the Largest and Best Residential Property Management Companies in Chicago, IL. 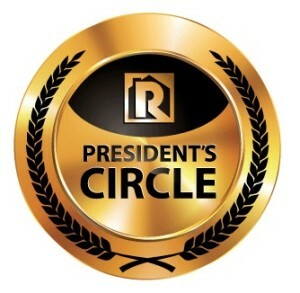 Real Property Management Chicago Group has 4 Chicago Land offices and has won multiple awards including the prestigious GOLD Presidents Circle and consecutively receiving TOP Rental Producer awards from the Chicago Association of Realtors in 2013, 2014, 2015, 2016 & 2017. See why we are the No. 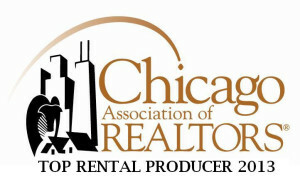 1 choice for residential Landlords in the Chicago Land Area! Real Property Management Chicago group- The leader in Chicago Property Management companies. Property Owners only want the best when it comes to Chicago Property Management; that is why they turn to Real Property Management Chicago Group. With our local knowledge and experience in Chicago property management along with the proprietary systems and benefits of the nationwide imprint of our parent company, Real Property Management Chicago Group is able to bring to our clients the finest in service and results among Chicago property management companies at affordable prices. Real Property Management Chicago Group is a full service Chicago property management business, handling all facets of the property management process for our clients to ensure maximum return on their investments. Our ability to perform all of these tasks more effectively and efficiently than most traditional companies has led Real Property Management Chicago Group to become the unquestioned leader among Chicago property management companies. Real Property Management Chicago Group has the capability and experience to handle any rental property from a single home/condo, multiple homes, apartment complex’s to a far-reaching institutional portfolio and we look forward to hearing from you. Let us show you what makes Real Property Management Chicago Group the right choice. With Real Property Management Chicago Group, you can count on our local knowledge and expertise, supported by systems and processes developed over the past 25 years. Join the thousands of rental home owners and investors who trust Real Property Management across the country to manage their rental property. Whether you own one rental home or several investment properties, our staff is prepared to meet the demands of property management, 24 hours a day. We know what works, what rents, and how to get more out of your rental property – all at a competitive price.